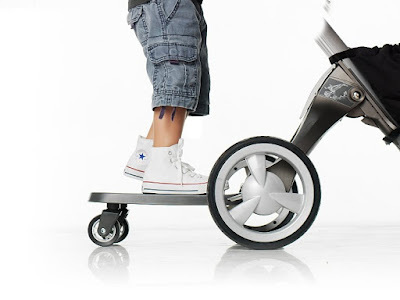 Can I use the Stokke® Xplory® Rider Board? Lots of people are asking this question so here is a quick guide to working out if the Rider Board can be used with your Stokke® Xplory®. 1. Is your Xplory® the new V3 model? If it is then YES. 2. If your Xplory® is a previous model, check the serial number on your chassis. You'll find it underneath the footplate in a white box. Rider can be used on all Xplory's from serial number 113464. The Rider Board is available from Stokke® retailers.